There exist a lot of ukulele tunings. 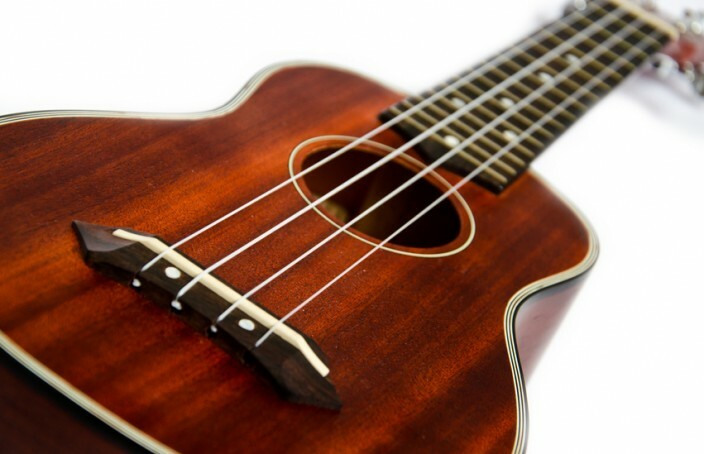 You’ll find on this page a non-exhaustive list of the most useful ukulele tunings. This is quite a common tuning, though it’s practically used only by sopranos, even though we could also use it with the Concert. The notes corresponding to this tuning are A D F# B, which is, if we think about it, exactly one pitch higher than the standard tuning. Being a re-entrant tuning, remember that the fourth string is higher than the third and second strings, and a pitch lower than the first one played open. This is a very common tuning, especially for tenor ukuleles. Actually, we will have the same notes as in standard tuning, but the fourth string will be tuned one octave lower, hence being lower than the C note from the third string, and therefore ending up being a linear tuning (as opposed to the re-entrant standard tuning). This tuning is exclusively for baritone ukuleles, although it’s also valid for tenor ukuleles in the re-entrant version of this tuning (Lyle Ritz style). It is formed by the notes D, G, B, E, just like the first four strings of a guitar. If we tune it this way, it will be linear, if we tune the fourth string an octave higher, it will be re-entrant. From a standard tuning or from a Low G tuning, we can go a half-pitch lower or a half-pitch higher on all the strings in order to get B6 and C#6 tunings respectively. Ka`au Crater Boys Troy Fernandez often plays in B6.